The ideal candidate for employment at Krout and Schneider, Inc. will be an effective communicator who enjoys challenging assignments and can work flexible schedules when necessary. Honest and motivated women and men who seek an investigative career will find K & S is a great place to begin and advance in a firm with over three-quarters of a century track record. 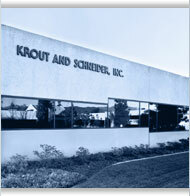 Krout and Schneider, Inc. is an equal opportunity employer. We offer competitive wages and excellent benefits, including medical, dental and life insurance, 401(k), paid vacations and holidays. Security & Privacy | ©2005 Krout and Schneider, Inc.